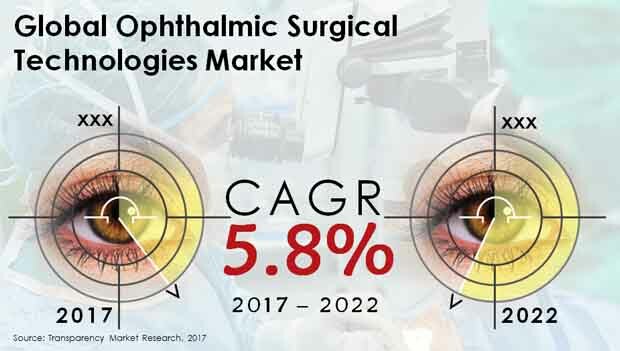 The global market for ophthalmic surgical technologies is a highly competitive in nature with a large number of players operating in it across the globe, states a new market intelligence report by Transparency Market Research. The key players operating in the market across the globe are Bausch & Lomb Inc., Essilor, Johnson and Johnson, Hoya Corporation, Carl Zeiss Meditek AG., STAAR Surgical, Topcon Corporation, Alcon Laboratories, and Nidek. The rapid development of the healthcare segment and the technological advancements in this field are the major factors that are enhancing the growth of the market and generate potential growth opportunities for the market players across the globe. In addition to this, the rising number of strategic collaborations and mergers and acquisitions is predicted to enhance the growth of the overall market in the coming few years. Rising awareness among consumers regarding the importance of eye care is considered as one of the key factors that is estimated to enhance the growth of the market in the next few years. Rising government funding to encourage advancements in the healthcare segment to accelerate the growth of the market in the coming years.